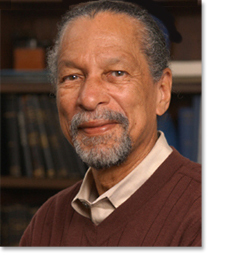 James Edward Maceo West, an American inventor and acoustician, was born on 10 February, 1931 in Prince Edward County, Virginia. In 1957, he completed his Bachelor of Science in Physics from Temple University. In 1962, he successfully developed foil electret microphone upon which over two billion microphones including telephones, camcorders, and audio recording devices are produced annually. Over 250 U.S. patents are in his name for the creative design of microphones and techniques for creating polymer foil electrets. After 40 years of his successful career, in 2001, he retired from Lucent Technologies. He is widely known for his significant contribution to acoustical science. Throughout his career, he contributed a lot in diverse fields of science and technology. During his life time James West was honoured with many awards. In 2006, he was honoured with the prestigious U.S. National Medal of Technology and Innovation. In 2010, along with Gerhard M. Sessler, he was the recipient of The Franklin Institute’s Benjamin Franklin Medal in Electrical Engineering. Moreover, He is also an inductee to the National Inventors Hall of Fame.